This is Part 3 of 4 to set things straight about how elections work in Virginia. Here, we address myths about Voter ID. Myth 1: You can’t vote if the address on your driver’s license does not match the address on the poll book. Your driver’s license is only one of several forms of photo ID acceptable at the polls. Some, like student IDs or employer IDs, don’t even include addresses. The purpose of the photo ID is to affirm your identity, not your residence. You must still provide the poll worker with your current address so we can match it against what is on our rolls. If your address matches, you’ll be able to vote, regardless of what may be printed on your license. Also, in some cases if you’ve recently moved within Virginia but haven’t updated your voter registration address, you can still vote, but you will have to complete a change of address first. The poll workers at your polling place will determine whether you are eligible. It’s always best, however, to verify your registration is correct before the registration deadline so you can make any changes necessary. Myth 2: You must have your Voter ID card to vote. The Voter Information Card or notification is used for information purposes only, to tell you where you vote on Election Day and provide your district information. It is not used for identity and cannot be used as a photo ID at the polls. It is not needed when you go to the polls, because the poll workers will look up your name on the poll book to verify your registration information. Myth 3: You can vote using an out-of-state driver’s license as your photo ID. Even though the photo may establish your identity, Virginia law specifies that the only driver’s licenses allowed are those issued by the Virginia DMV. Several other forms of photo ID are permitted: DMV ID cards, passports, employer photo IDs, student IDs from Virginia schools, or any federal or Virginia government ID with a photo. See our ID Requirements page for more information. 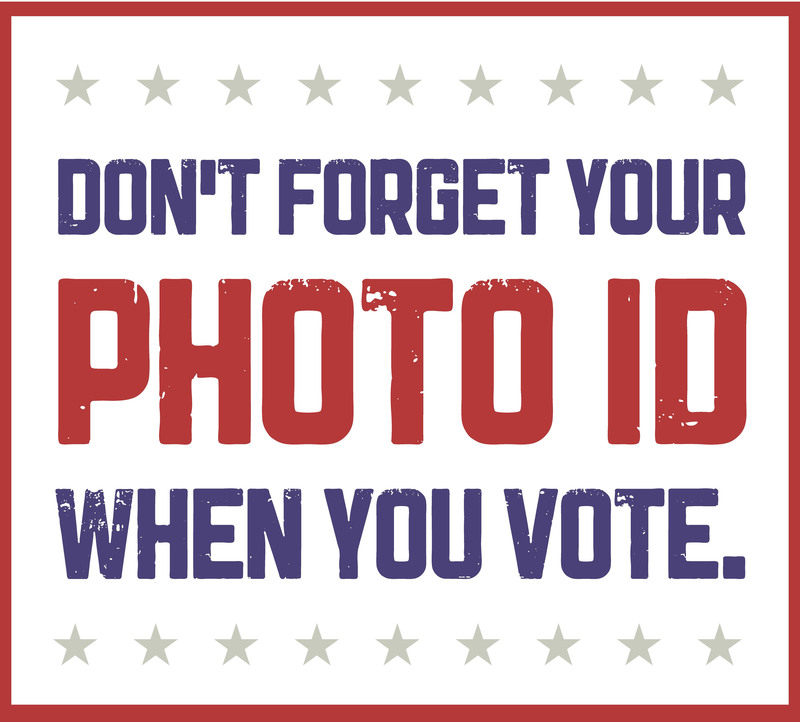 Myth 4: If you don’t have photo ID, you can’t vote. If you don’t have any of the approved photo IDs, you can either get a free photo ID from any Virginia voter registration office before the election. If you show up at the polls without proper ID, you can vote a provisional ballot on Election Day and present a valid ID to the Electoral Board by noon on the third business day after the election, which includes getting your free ID if needed. If you don’t present valid ID by the deadline, your ballot cannot be counted. Myth 5: You have to have a government-issued photo ID to vote, which you have to pay for. There are several photo ID Virginians can bring to the polls that are not issued by government entities, although many of them are. These include employer IDs with a photograph and student IDs, which can be issued by any school in Virginia, public or private. If a voter does not have ID, free IDs for voting purposes are issued by every Virginia voter registration office. Most offices, including Arlington, visit facilities such as senior residences in the weeks before major elections to reach out to voters who may not have any of the other forms of ID.